Leading Exporter of antifungal drugs tablets, tazobactam sodium injection, dicloxacillin tablets, anti hiv medicines tablets, antibacterial tablets and chloramphenicol palmitate drop from Mumbai. Ketoconazole should not be used to treat fungal infections on the skin and nails due to the risk of serious side effects and drug interactions. Talk to your doctor about other medicationsyou can use to treat these types of infection. 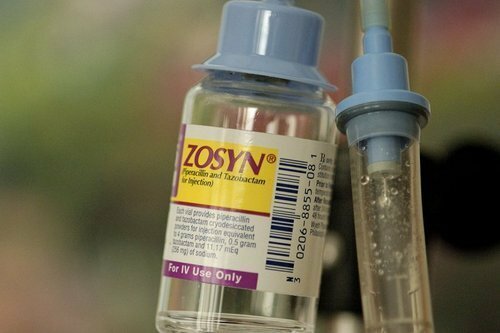 Catering to the demands of customers as one of the leading organizations, we are engaged in providing Tazobactam Sodium Injection across the nation. These injections are processed by utilizing best quality ingredients and sophisticated formulation techniques at our well equipped laboratory. These injections are available to our customers at nominal prices. 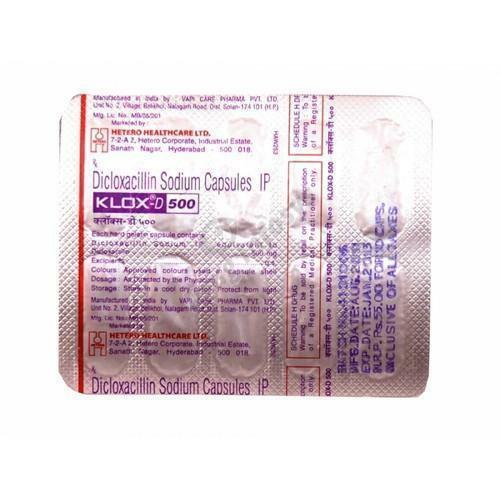 Klox-D 500 Capsule is a penicillin-like antibiotic used for treating bacterial infections of the skin, bone, respiratory tract, etc. caused by susceptible bacteria. This medicine is not recommended for treating a common cold, flu, or other viral infections since it is not effective in treating them. 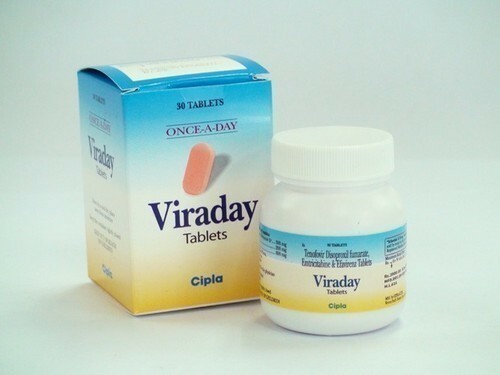 Viraday Tablet is a combination medicine used for the treatment of human immunodeficiency virus (HIV) infections. 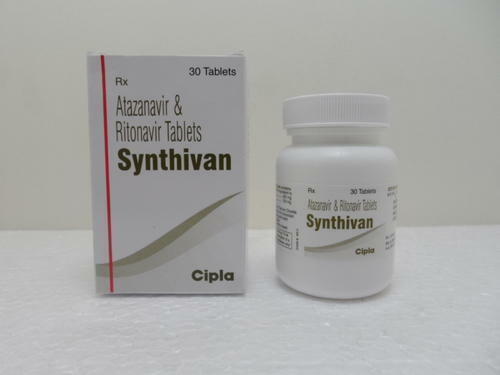 This medicine is not a cure for HIV; it only prevents the virus from multiplying in your body. 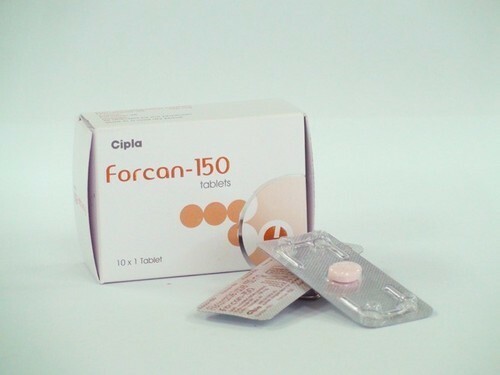 Monitoring of liver function and kidney function may be necessary while receiving this medicine based on the clinical condition. This medicine is not recommended for use in patients less than 12 years of age. 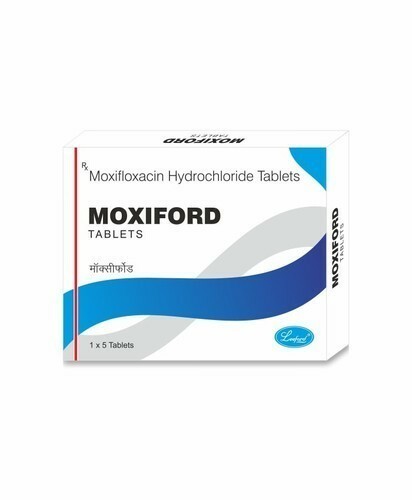 Moxiford 400 mg Tablet is an antibiotic. It works by stopping the action of a bacterial enzyme called DNA-gyrase. This prevents the bacterial cells from dividing and repairing, thereby killing them. Manufactured By Klar Sehen Pvt. 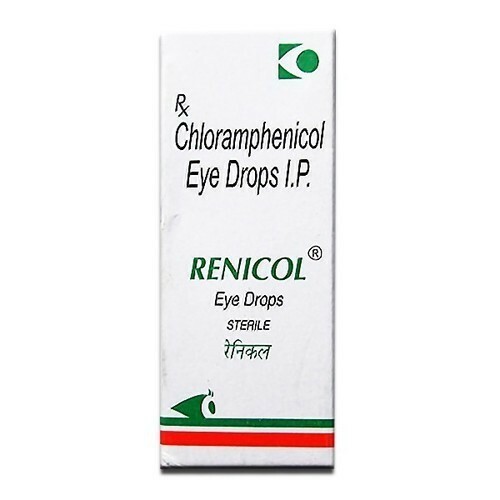 Ltd.
Renicol 0.5% Eye Drops is an effective medicine used for the treatment of serious infections caused by bacteria when other medicines are ineffective or are unable to give the desired results. 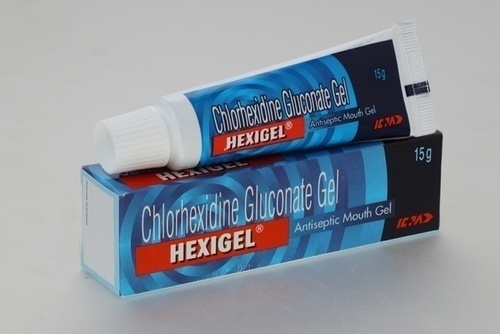 Company Icpa Health Products Ltd.
Hexigel is an anti-infective agent used topically as a mouthwash. Its antimicrobial activity helps to prevent dental plaque, a condition where a mass of bacteria grows on the surfaces within the mouth. 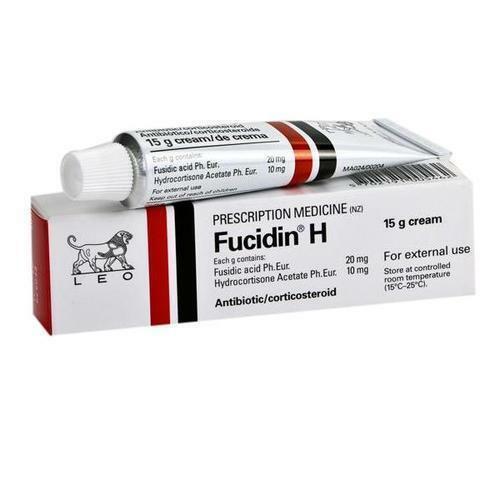 Fucidin Cream is an antibiotic used in the treatment of inflammation of the skin, hair follicles; infections of the skin surrounding the fingernails or toenails; infections of the bearded skin; and infections of the folds of the skin with brown scaly skin patches which are mostly caused by Staphylococcus species. 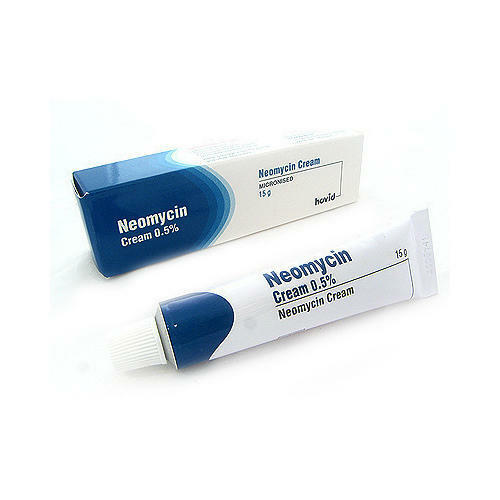 It is also used to treat impetigo which is characterized by crusty and swollen patches of skin. 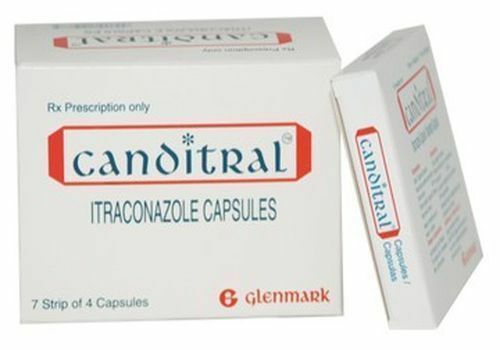 Canditral Capsule is an antifungal which is used to treat a variety of infections caused by fungi in lungs, mouth, and throat. Take this capsule with food for better absorption. 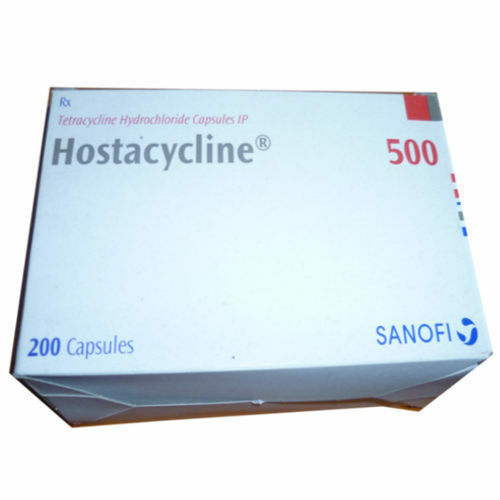 Hostacycline 500 MG Capsule is an antibiotic which is used in the treatment of infections in the lungs, reproductive organs, and cholera. This medicine may cause teeth discoloration in the children. It may increase the risk of sunburns when exposed to the sunlight. 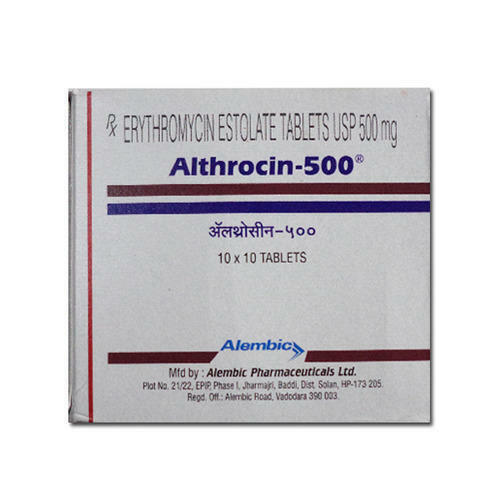 Althrocin 500 MG Tablet is a macrolide antibiotic which is used to treat infections of the lungs, throat, ear, etc. caused by bacteria. 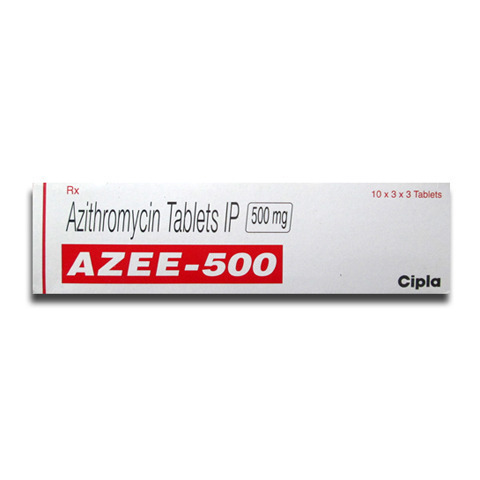 This medicine is not recommended for use in case of a common cold, flu, or other viral infections since it is active against infections caused by bacteria only. 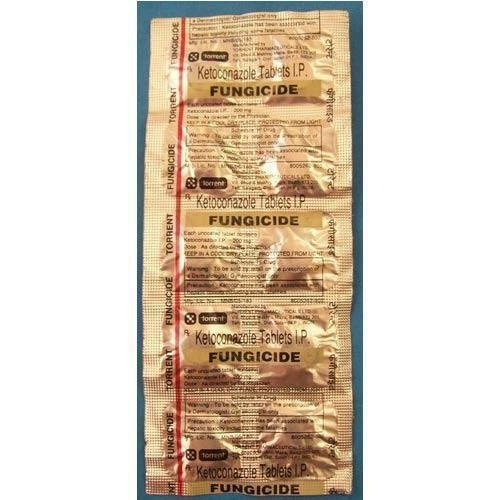 Looking for “Anti Infective Drugs”?